For the makeup product I’m probably the most obsessed with in 2018, I’m sorry that’s it 5 months into the year before I’ve taken the time to write about it. Also, since I took these photos, I’ve now purchased 7 more shades in metallic and glitter finishes… but for now I’ll stick with reviewing the Stila Glitter and Glow Liquid Eye Shadow in Diamond Dust and Kitten Karma. Spoiler: it’s pretty clear I love these guys. 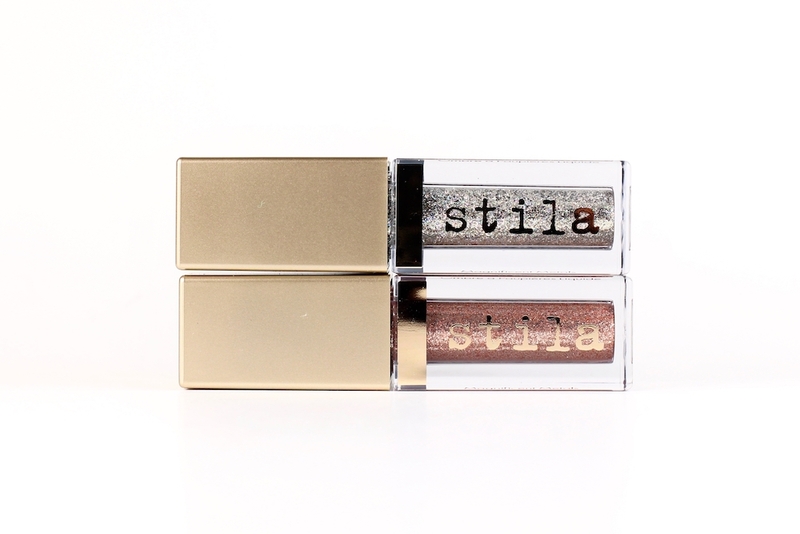 Stila Glitter and Glow Liquid Eye Shadow is a long-wearing, glittery cream shadow that comes in a tube with a paddle applicator. There are also metallic shades (I have 3 of those and adore them as well). These shadows have a lightweight texture jam-packed with glitter. SO MUCH SPARKLE. And the best part is that you can easily apply it to your eye, no primer, and it looks just as beautiful as the swatch and sticks around all day. In the above photo, I’ve applied the Stila Glitter and Glow Liquid Eye Shadow in Kitten Karma all over the lid and then dabbed Diamond Dust on the inner corner. Kitten Karma, a beautiful copper bronze, definitely has a more pigmented base, so I prefer it on its own. In comparison, Diamond Dust has a sheer base and is filled with silver and multicolour glitter, which looks stunning in the light. You can wear these on their own or layered, I definitely want to try Diamond Dust over a black shadow. 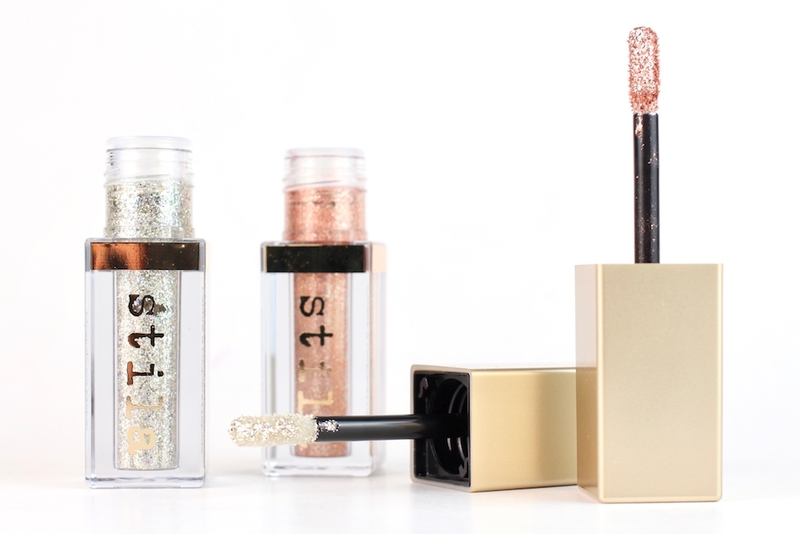 I do have some sparkle fallout when wearing the Stila Glitter and Glow Liquid Eye Shadows, but it’s pretty minimal compared to what I get with loose glitter. I also get no creasing and all day wear. Wearing this eye look, I actually got complimented on my eyeshadow at the grocery store, while wearing glasses, that’s how pretty these shadows are! In case it wasn’t clear, I’m absolutely sold on the Stila Glitter and Glow Liquid Eye Shadows. The glitter shades are stunning but don’t miss out on the metallic ones either. 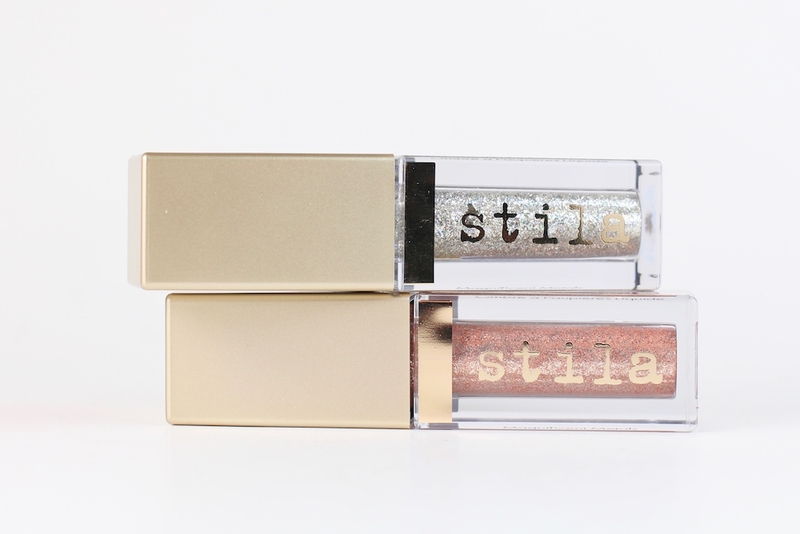 If you are looking for a stunning glittery eyeshadow that’s easy to apply and last incredibly well, I highly recommend checking out this beautiful innovation from Stila. Have you tried any of these shadows yet?